Having burnt through large swathes of its original cast—including star Matt Dillon—with the first-season’s status quo-shattering finale, Fox’s Wayward Pines has started refilling the old character tank for the slightly unexpected season two. Jason Patric has already been cast as new hero Theo Yedlin, newly awoken from suspended animation to deal with all these pines, and their attendant waywardness. 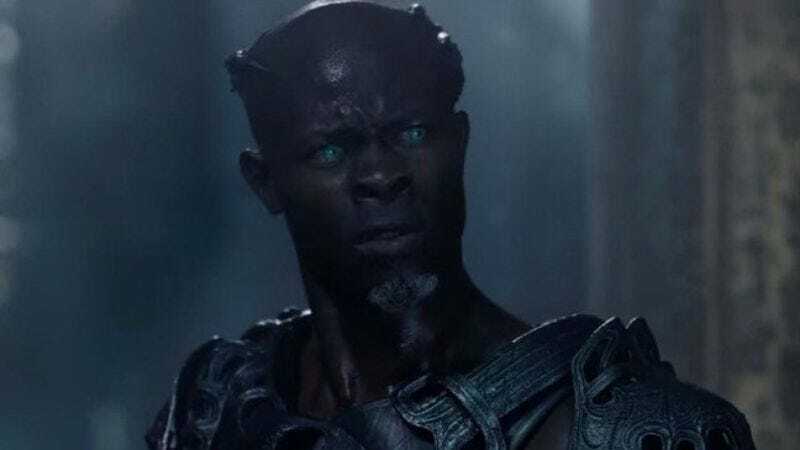 Now, Deadline is reporting that Blood Diamond and Guardians Of The Galaxy’s Djimon Hounsou is joining the cast, too, as a historian with a connection to the town’s mysterious past. Hounsou will play CJ Mitchum, an “original resident” of the far-future burg, who apparently serves as a connection between the old world, and whatever happened to turn it into the aberration-filled nightmare of the current show. The series represents Hounsou’s first regular TV live-action role (he also starred in BET’s animated Black Panther series from 2010); he also appeared in last year’s Furious 7, and recently finished shooting on the Margot Robbie-starring The Legend Of Tarzan. Now, he’ll be starring alongside Patric and a returning Melissa Leo, ensuring that Wayward Pines’ quota of scenes where someone says something really cryptic, and then they cut to the act break, is kept properly topped off.